This is a beginner block and quilt. Use high contrasting fabrics so the celtic patterns are more visible. You need to make 36 blocks of 4 pieces each (and 144 pieces in total for the full quilt). Block size: 18 1/2 inch square, including 1/4 seam allowance. Number of blocks on this quilt: 9 (144 individual pieces). Quilt size: approximately 54 inch square. 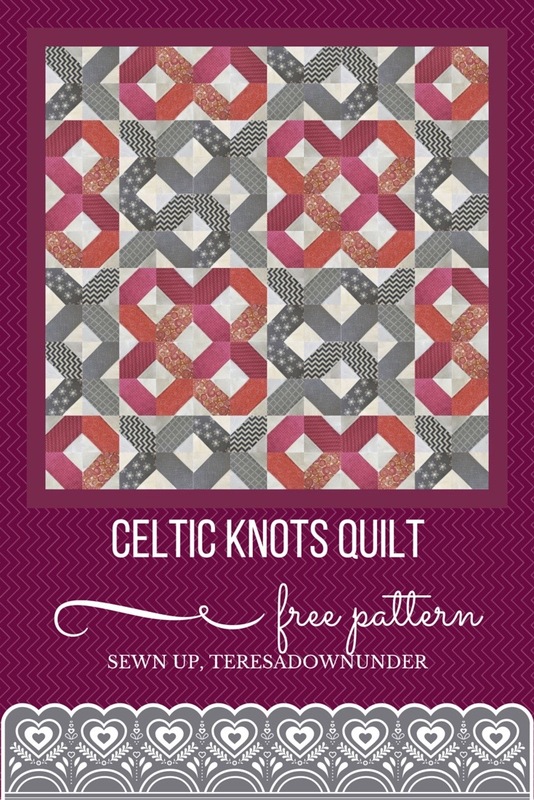 Have you made a quilt with this free pattern? Thank you so much for your wonderful patterns. So simple. Very well explained. They are on my to do list. I’m glad to hear you like my patterns Marie.